Welcome to the first edition of the Secretariat’s Quarterly for 2019, the e-newsletter that provides updates on news on the Commission and the work of the Commission Secretariat. We regret the absence of the quarterly editions towards the end of 2018 due to the challenging workload leading up to the annual WCPFC15 meeting in Honolulu, Hawaii in December. The Honolulu annual session was touted a significant success assessed from the extent of its outputs that included inter alia the continued application of the multiyear tropical tuna measure for the remaining two years without major refinements; a new measure that ensured the continued operation and refinement of the compliance monitoring scheme (CMS); adoption of a target reference point for south Pacific albacore; revised measures on seabird and turtles as well as the adoption of best practices for the safe release of sharks; adoption of a strategic investment plan for the special requirement fund; and continued progress on the development of standards for electronic reporting and monitoring. The full account of the outcomes of WCPFC15 are in the Summary Report for the meeting which is being finalized. 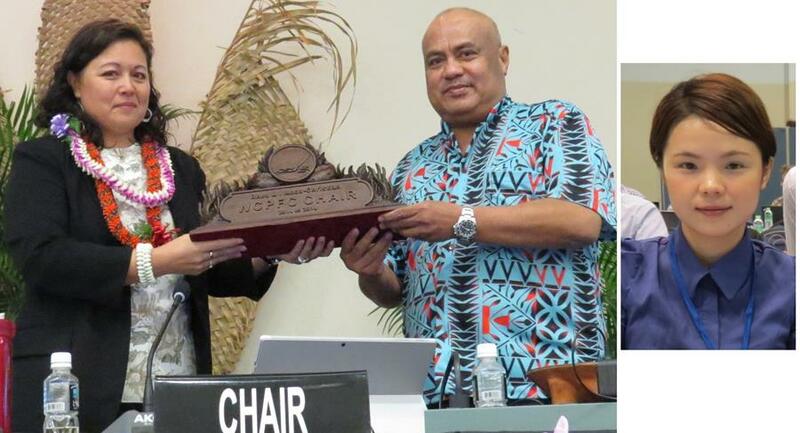 The end of the WCPFC15 meeting signaled the change of guard in the leadership of the Commission with the Commission Chair for the last four years, Ms Rhea Moss-Christian (Marshall Islands) having handed over the baton to the incoming Chair for the next two years, Ms Jung-re Riley Kim (Korea). The Commission applauded and showered accolades on Ms Rhea Moss-Christian for her sterling leadership and firm guidance on the work of the Commission during her tenure. The Secretariat joins the Commission in congratulating Rhea for a job well done and wish her the best in her future endeavors and looks forward to working closely with and in support of Riley. (Left) Outgoing WCFPC Chair, Rhea Moss-Christian and Executive Director, Feleti Teo at 15th Annual Commission Meeting, Honolulu, Hawaii, USA, 14 Dec 2019. (Right) Incoming WCFPC Chair, Jung-re Riley Kim at 11th Session of Technical and Compliance Committee, Pohnpei, FSM, 23 Sep 2015. Emerging from the WCPFC15 was a sizable intersessional workload for the Commission and the Secretariat for 2019. 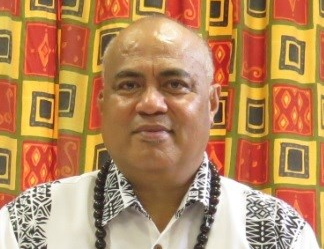 In addition to the tasks for the standing subsidiary bodies, the Commission also sanctioned specific work for intersessional working groups to work on the review of the transshipment measure; continue work on the development of the roadmap for south Pacific albacore management; observer related issues; and progressing work on electronic reporting and monitoring. The Commission is expected to continue work on a consolidated and comprehensive measure on shark management; rolling out of the new measure on the compliance monitoring scheme and related work will generate a significant body of work; and the priority area of developing a harvest strategy framework for the Commission will continue to dominate work in 2019. This work will culminate in an extended session of WCPFC16 in December in Port Moresby, Papua New Guinea. As this newsletter comes out, I am observing at the second session of the United Nations (UN) intergovernmental meeting negotiating a legally binding instrument for the conservation and sustainable use of marine biodiversity in areas beyond national jurisdictions (BBNJ). The negotiations is of interest to the Commission because the Commission also has management competence in areas beyond jurisdiction in the Western and Central Pacific concerning the conservation and sustainable use of highly migratory fish stocks and associated species. More explicitly, the members of the Commission are required to protect biodiversity in the marine environment. The WCPFC, in conjunction with other tuna - regional fisheries management organizations (t-RFMOs), is determined to ensure that the regime being developed through this BBNJ process does not undermine but complement the existing regime rooted in the UN Fish Stocks Agreement. The Commission has a new cooperating non-member in Nicaragua for 2019, maintaining the number of cooperating non-members at seven as Mexico’s status was not renewed. The Secretariat looks forward to 2019 to work closely with members, cooperating non-members, participating territories and observer organisations under the leadership of the new Chair Ms Jung-re Riley Kim. 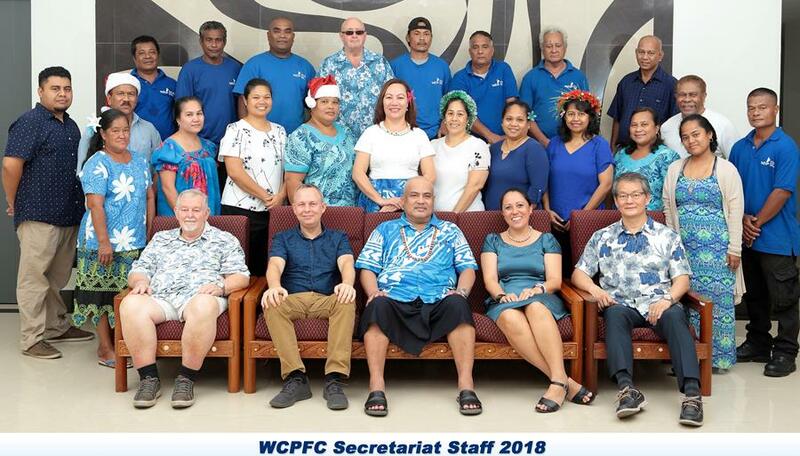 WCPFC Headquarters, Pohnpei, FSM, Nov 2018. The Global Environment Facility (GEF) funded component of the West Pacific and East Asia (WPEA) project will wind up in April 2019. Yet, there are still a lot of scheduled activities to be completed including the terminal evaluation and final financial audits. 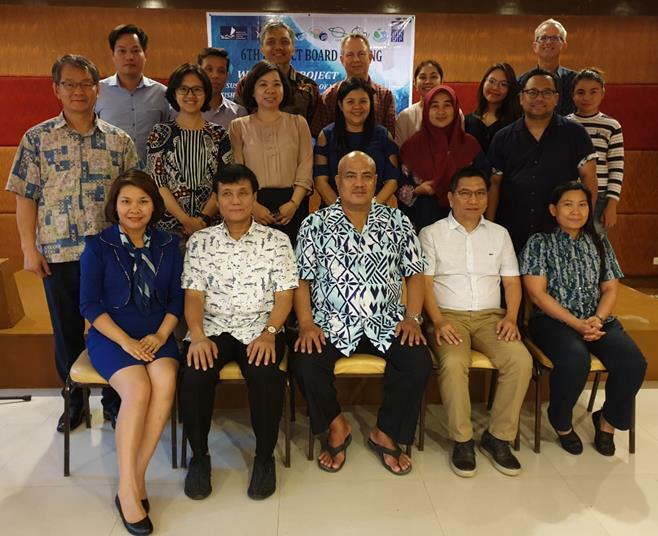 There have been the Indonesia and Philippines Data Collection Project (IPDCP) and two phases of the GEF-funded project that spanned over 14 years and covered the two Commission members of Indonesia and the Philippines, and a cooperating non-member Vietnam since 2009. The primary focus was improving data collection and sustainable management of tuna stocks in those three jurisdictions. The contribution of the project included tuna catch data collection and submission to WCPFC for regional stock assessments; the review and revision of national fishery policies; the review and revision of laws, regulations and institutional arrangements to fully comply with WCPFC requirements; and the development and/or revision of each country’s national tuna management plan. The Project also supported the development of reference points and harvest control rules for national tuna management; the development of guidelines on adaptive management and monitoring of highly migratory fish stocks to address the impacts of climate change; the development of a market-based sustainability framework by conducting supply chain analyses and recommending establishment of a certification system; the risk assessments of bycatch species; the application of an ecosystem approach to fisheries management for selected tuna fisheries; and the development of a knowledge sharing platform by establishing a WPEA portal under the Partnerships in Environmental Management for the Seas of East Asia (PEMSEA) resource facility. With the project end date in April, various activities and meetings occurred in the first quarter of 2019. A week-long consultation meeting was held in each country to compile all project outputs. In total, over 150 meeting reports have been compiled from workshops, consultancies, and supervision and training visits. The Secretariat also convened a sub-regional workshop for the WPEA project (the Consultative Forum) in Aklan, the Philippines, 28-30 January 2019. Representatives from Indonesia, the Philippines, Viet Nam, United Nations Development Programme (UNDP), PEMSEA, Southeast Asian Fisheries Development Center (SEAFDEC) and WCPFC attended the Forum to discuss the feasibility of establishing a cooperative monitoring mechanism to combat illegal fishing in the WPEA region. A framework was developed to systematically tackle illegal fishing in the East Asia Seas region, with hopes that this framework may be applied or adapted as new emerging needs are identified in the future. After the Forum, the 6th WPEA Project Board Meeting was held to review the progress of the 2018 project activities and the 2019 annual work plan and budget. 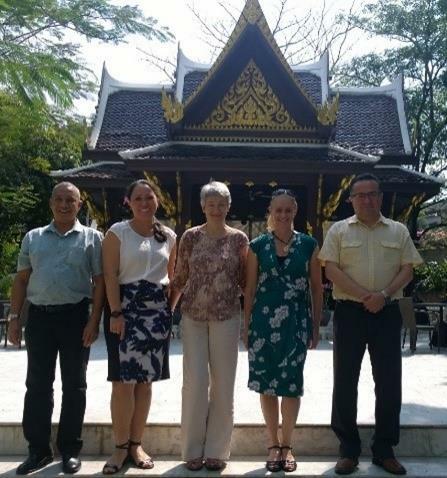 The Project Board approved several activities, including the final three-country workshop in Nha Trang, Viet Nam; the WPEA Project financial audit; and the process for the project terminal evaluation. All the remaining activities will be implemented during March and April 2019. Executive Director, Feleti Teo, Science Manager, SungKwon Soh and Finance and Administration Manager, Aaron Nighswander with members and participants at the 6th WPEA Project Board Meeting, Aklan, Philippines, 31 Jan 2019. The International Scientific Committee for Tuna and Tuna-Like Species in the North Pacific Ocean (ISC) convened the 4th North Pacific Albacore Management Strategy Evaluation (MSE) Workshop in Yokohama, Japan, from 5 to 7 March 2019. The workshop reviewed the simulation outputs as a result of the harvest strategies; the selected target, threshold, and limit reference points; and the harvest control rules, which were agreed upon at the previous 3rd workshop. After intense review and discussion, the scientists, managers, and industry and NGO representatives all supported and showed appreciation for the results of the MSE work. The participants also recommended a list of reference points, harvest control rules, and fishery-related options for the update of the MSE work; with outcomes to be presented at the 5th ISC North Pacific Albacore MSE Workshop by the end of 2020. Key results and recommendations from the recent workshop will be reported to Inter-American Tropical Tuna Commission (IATTC), ISC Plenary, 15th session of the Scientific Committee (SC15) and the 15th session of the Northern Committee (NC15). Science Manager, SungKwon Soh with participants at the 4th North Pacific Albacore Management Strategy Evaluation Workshop, Yokohama, Japan, 7 Mar 2019. The Secretariat compliance team has commenced preparations for the compliance monitoring scheme measure implementation in 2019. Members, Cooperating Non-Members and Participating Territories (CCMs) have been advised of the availability on the Annual Report Part 2 online reporting systems and updated supporting files for high seas transshipment and VMS reporting gaps related to report year 2018. This year’s scheme preparations have duly considered the revised Conservation and Management Measure (CMM) 2018-07 and the updated list of obligations approved at WCPFC15 for review in 2019. The Assistant Compliance Manager will be travelling to Honiara and Noumea in April to provide support to Pacific CCMs and territories preparations for Annual Report Part 1 and Annual Report Part 2. The compliance team has also commenced some internal preparations in anticipation of the likely activities for 2019 under future tasks under the CMS and for work under the TCC workplan relating to a comprehensive review of all the Commission’s reporting requirements to remove duplicative reporting as well as ensure the Commission’s data and information needs are met. For the latter, planning is underway to commence joint work with colleagues from the secretariats of Forum Fisheries Agency (FFA), the Pacific Community (SPC) and the Parties to the Nauru Agreement (PNA) Office on science project 93 to review the Commission’s data needs and collection programs. For the website, some additional information has been incorporated to support the CMS. A list of significant dates, which includes key reporting deadlines, is now accessible and exportable through the calendar on the website. Some preliminary work has also been completed to create the new webpage for Implementation of Article 30 of the Convention. The page remains a work in progress and work will continue over coming months. The page can be accessed from the “Implementation of Article 30 of the Convention” link at the top left menu bar on our website home page or through this link https://www.wcpfc.int/implementation-article-30-convention . If you need further assistance, please contact our Compliance Manager, Dr Lara Manarangi-Trott (lara.manarangi-trott@wcpfc.int) or Assistant Compliance Manager, ‘Ana F. Taholo (ana.taholo@wcpfc.int). The compliance team has been active, supporting the chairs of the relevant intersessional working groups in relation to major work on the review of the transshipment measure and observer reports and related issues. The website now includes some additional content about the High Seas Boarding and Inspection Scheme (HSBI) including some interactive summary graphics for the Register of Inspection Vessels and HSBI events (these can be accessed from this link https://www.wcpfc.int/high-seas-boarding-inspection ). Collaboration with other tuna RFMO Secretariat compliance counterparts is continuing, including through the participation of the Compliance Manager, Technical and Compliance Committee (TCC) Chair, Mr Laurence Edwards and immediate past TCC Chair, Ms Alexa Cole in the recently completed third workshop of the Tuna Compliance Network (TCN). The workshop brought Chairs of the Compliance Committees and the Officers responsible for Compliance of the tuna RFMOs together for a workshop, to discuss compliance processes and procedures and provided a valuable opportunity to learn from each other’s experiences and approaches. The Regional Observer Programme (ROP) staff participated in two Pacific Islands regional observer coordinators workshops held in March, in Nauru and Papua New Guinea. ROP audits are being planned for 2019 for the observer programmes of Solomon Islands, FFA, Australia, New Caledonia and Palau. For ROP-related matters please contact our ROP Coordinator, Mr Karl Staisch (karl.staisch@wcpfc.int). The Vessel Monitoring System (VMS) team is actively working with our IT contractors, to implement an automated IT solution to support the generation of VMS reporting status supporting files for each CCM. This has a planned delivery date by the middle of 2019, and until then the usual individual flag CCM supporting files of WCPFC VMS reporting status for each of their vessels will continue to be maintained. In respect of work on emerging technologies, preparations are also underway to plan Phase 2 of the E-reporting high seas transshipment project. During 2019, the Secretariat intends to seek opportunities to work with interested flag CCMs that may like to report their high seas transshipment pre-notifications and post-declarations to the Secretariat using the recently adopted WCPFC high seas transshipment E-reporting standards. During February, our Compliance Manager participated as a panelist and provided presentations to two meetings in Bangkok, Thailand: The Seafood and Emerging Technologies (SAFET) conference, and the 6th Global Fisheries Enforcement Training Workshop (GFETW). At the end of 2018, the Secretariat was a sponsor and participant in the annual Quiz Night organized by the Pohnpei chapter of the Rotary. The night raises funds for scholarships for students in community. At the start of this year, financial contributions were provided towards the celebration of the annual Women International Day in March and the FSM National Law Day which hosts an annual debate competition for high school students. The Secretariat sponsored its second annual tennis tournament involving around 60 players from 2 March. The tournament is currently ongoing. On the 9th March the Secretariat sponsored its 8th Annual WCPFC tournament for the Pohnpei Fishing Club. It was the first fishing tournament of the year and around 50 people participated. Finance and Administration Manager, Aaron Nighswander, son and crew at the 8th annual WCPFC sponsored fishing tournament, Pohnpei, FSM, 9 March 2019. The Commission since 2012 authorized the installation of a 20-kilowatt peak (kWp) solar system at the Commission Headquarters to offset its annual electricity charges and to reduce the environmental impact of the Commission’s headquarters building. In 2013, the Commission approved the expansion of the system from 20 kWp to 60 kWp. Beyond the cost savings and the positive environmental impact of moving towards the greater use of solar power, the headquarters building has served as a model for the island on the use of renewable energy. With the ultimate goal of having the main WCPFC’s headquarters be a zero net energy (ZNE) building, the Secretariat is working to install additional solar panels with funding from the US.